The mourning dove’s (Zenaida macroura) diet consists almost exclusively of seeds, which they forage off of the ground. Mourning doves store the seeds they consume in their crop (enlargement of the esophagus), perching and digesting their meal once the crop is filled. I love their “mournful” call. 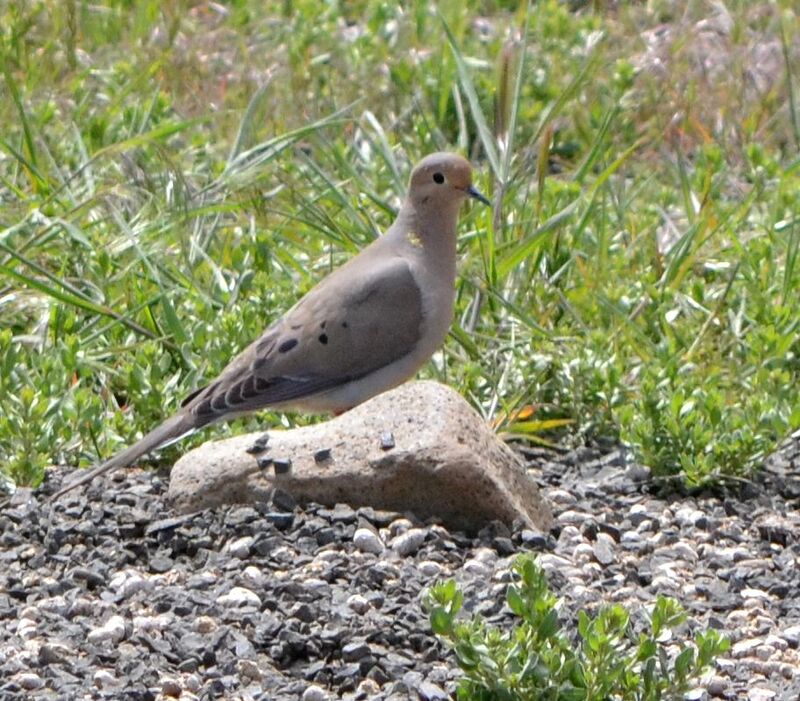 This mourning dove was photographed in a friend’s yard near County Road 91 (Modoc County CA). This entry was posted in Birds and tagged mourning dove, nature photography, Zenaida macroura. Bookmark the permalink. Their tail is shorter also.